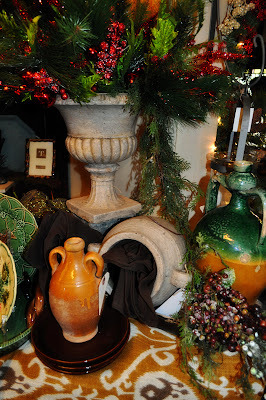 19 Days Until Christmas…This unique Majolica sets such a pretty setting. 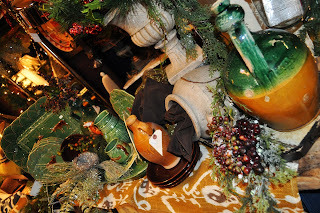 Made in Portugal it's details of foxes, deers, and green leaves is beautiful for Christmas or winter. One of my favorite things is the fox pitcher and mugs and large glazed green tray it reminds of old majolica you would find in a quaint antique store….I can see this setting on a large coffee table wrapped in pine garland or displayed on a kitchen table quite special! 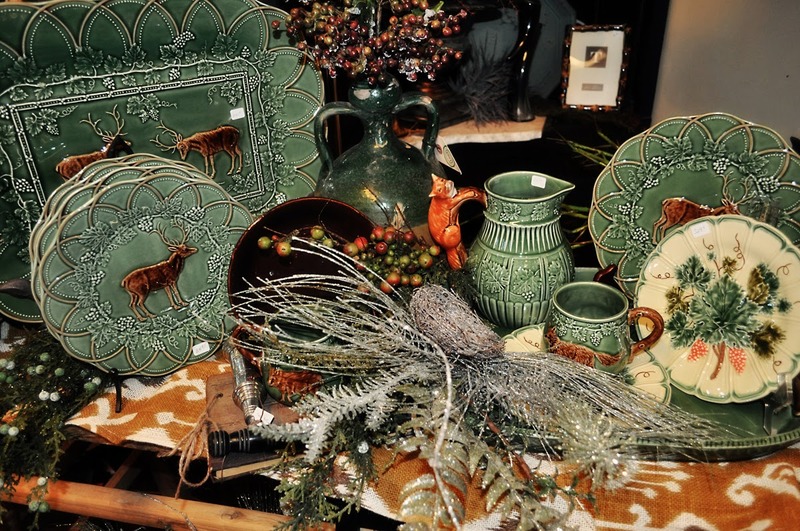 The large stag majolica tray and plates are very neat as well! It goes quite well with the Vietri chocolate dishes which is a line we have carried for over 10 years in the shop and use and cook with in all of our kitchens…. These old turkish olive jars look interesting sitting on top of a kitchen hutch or in an old crock collection. Wonderful and unique we all love them and would like to take them home with us! We try our best to work as hard as we can, be creative, and most of all be unique from others….we want to carry things that we all love and that can create beauty in a home or create a smile. Thank you to all our customers that shop with us this Christmas.